Eligible applicants must hold a relevant Postgraduate Diploma qualification e.g. EBMA Level 7 or Qualifi Level 7 diploma. We also accepts other applicants who hold a relevant Postgraduate Diploma Qualification. Applicants are allowed to complete the MBA Top Up within three months from registration. Dissertation: Students will write a 10-15 thousand word research-based Dissertation on the topic of their choice. MBA Top Up provides a variety of careers and encourages learners to gain the skills, knowledge and understanding that will help them achieve their goals and aspirations. Graduates can seek Director or Senior Manager Role in the area of HR, Supply Chain, Entrepreneurship, Marketing, Sales, Finance, Manufacturing, Technology, Retail, Banking, and Health Service. Click here to download Admissions Application, complete and submit us with requested documents. Successful learners will get full tuition/delivery support from Cambridge Management & Leadership School. 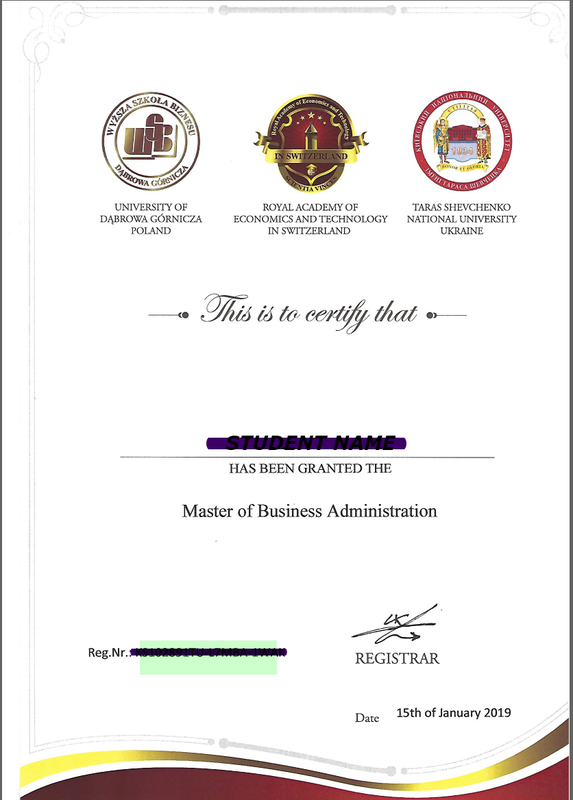 if the MBA at the end is given by these universities (POLAND/UKRAINE/SWITZERLAND), so the CMLS gives what exactly ?